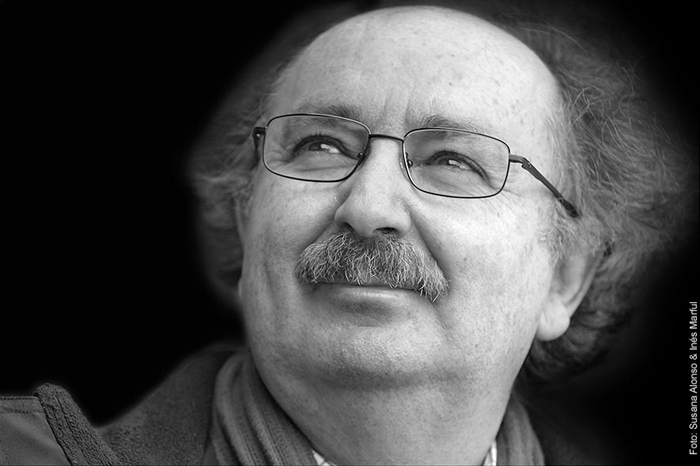 Born in La Bañeza, Leon on January 30, 1946, Antonio Colinas is a major Spanish poet vaguely situated as part of the Generation of 1970 and the Spanish novísimos, although his work was not included in the anthology of their work. Colinas studied history at the University of Madrid before teaching, between 1970 and 1974 at the Universities of Milan and Bergamo in Spanish. He spent two decades in Ibiza before moving to Salamanca. His first book of over 40 books of poetry, was Poemas de la tierra y de la sange (Poems of the Land and the Blood), published in 1969 along with, the same year, Preludios a una noch total (Preludes to a Total Night), both of which established him as a kind of classicist with mystical leanings. Yet his work, filled with poetic tradition, philosophical, spiritual concerns defines its own territory, and Colinas’ voice is quite original and, often, astonishing beautiful. Besides his notable contributions to poetry, the author has also published numerous books of fiction ( Un año en el sur, 1986; Larga carta a Francesco, 1986; Días en Petavonium, 1994; El crujido de la luz, 1999; and Huellas, 2003), dozens of books of essays and other genres, as well as translating more than 20 authors. He won the Premio Nacional de Literatura prize in 1982 and the Premio de la Academia Castellana y Leonesa for poetry in 2001.
where is it talking me on this uncertain night? The heat has overcome the doves in the wheat field. traced by a divine hand. and exhausting snares of life. lines that someone drafted centuries ago. of a procession of mown rose bushes. “The River of the Shadow” reprinted from Kay Pritchett, ed. Four Postmodern Poets of Spain: A Critical Introduction with Translations of the Poems (Fayetteville: The University of Arkansas Press, 1991). Copyright ©1991 by Kay Pritchett. Reprinted by permission of The University of Arkansas Press.